Many writers have speculated about the time period of the destruction of Atlantis as Plato's 9,000 years seems somewhat exaggerated and unlikely. Many believe that Solon misread 1000s for 100s and that it was more likely 900 years before the time of Solon. It was however more like 500-600 years before Solon as the Egyptians were known for exaggerating their antiquity. Like most dates before Alexander the Great it is not clear exactly when Solon lived. The Accepted Chronology of Academia following the faulty dating of the later Greeks, places his birth in 638 BC but may have been about a century or two later. We know he visited Croesus King of Lydia who lived in the late 5th century (not the 6th) in the time of King Cyrus (r.410-388). If we add 900 years to 400 BC we get 1300 BC which is close to the time of the entry of the Israelites into Israel. Solon was most likely in Egypt during the reign of Seti II (aka Psamtik) who reigned 420-403 BC (dates according to my revised chronology based on Velikovsky, the Book of Jubilees, the Seder Olam Rabbah and the Bible). In my writings I have claimed that the Philistines and Pelasgians of E1b ydna were Atlanteans. Haplogroup E are from the Javanites of Japheth. Plato's account tells us that the Atlanteans conquered northern Africa and southern Europe. The Bible tells us that the Philistines came from Africa to settle on Caphtor or Casluhi. Many scholars have claimed that it refers to Crete or Cyprus. It indeed refers to Crete or Creito (Cleito) but not the Crete in the Mediterranean but the Crete in the Atlantic also known as Atlantis which is outside the pillars of Hercules (Strait of Gibraltar). This Cretan Atlantis had a double name due to its legendary founders Atlas and Cleito (Cleo or Creito). The traditional accounts record that Poseidon married Cleito and they had 5 sets of twins that ruled Atlantis. The eldest of the 5 sets of twins was Atlas for whom the name Atlantis was given to the island kingdom. This is a legendary telling of the two divisions of Atlantis between the northern Atlantean Kingdom and the southern Atlantean kingdom. In Tunisia of North Africa for instance about 20% of the Jewish families had a tradition that they descend from Zebulon. Unlike most North African Jews these families were often blond and blue-eyed and looked like Dutchmen with whom we identify most of the Tribe of Zebulon. The Bible also mentions two other men called Elon or Helon as chiefs of the Tribe of Zebulon. One of them was to become a Judge over all Israel. Thus these sons of Elon (Atlas) founded the northern Atlantean Kingdom in the mountainous north while Cleito or Creito (who was probably a man who was changed to a woman for the purpose of combining the two founder accounts) was the founder of the southern Kingdom. The prophet Jonah, St Peter and St Andrew were also Zebulonites. Jonah in fact came from the Zebulonite colonies in Europe. He tried to return home on the ships of Tharshish (region of Spain, France and the British Isles). He had lived in Zarephath region of Sidon (Spain and France) and was the son of the widow of Zarephath according to Jewish tradition who Elijah rose from the dead. This area of south- western France became known as Helios or Helias in honour of Elijah. Jonah later lived in Geth-Hepher or Gath (Gatherius/Gaderius) in Spain which was originally settled by Eumelus the Creitan King of Atlantis around 1150 BC and named by the Zebulonites after a village in the Land of Zebulon in Israel. From there Jonah took ship to Israel to visit Jerusalem. St Peter and St Andrew's father Jochanan (John) was descended from the House of Jonah. He had fishing fleets both on the Zebulonite region of the Sea of Galilee and on the Zebulonite coast at Haifa Bay (near Acre/ Akko). The twins of Poseidon and Cleito represent the dual kingship in the North and South of Atlantis. Atlantis existed after the establishment of this dual kingship for about 150-200 years in which time they developed an advanced civilisation in much the same way as the West has developed an advanced civisilation in the last 100 years of so. The five generations of the Zebulonite Kings who ruled the North were Atlas (Elon), Ampheres (Pharez), Mneseus (Manasseh), Elasippus (Eliab) and Azaes (Azariah). The southern Cushite Kings of the south were Eumalus (Amalek), Evaemon, Autochton, Mestor and Diaprepes. Atlantis sunk into the Ocean in 968 BC at the very moment that Samson pulled down the Atlantean Temple of Dagon. This was in the reign of Rahotep II of Egypt. The Rabbinic traditions teach that the Philistines mentioned in Genesis are different from the Philistines mentioned in the time of Samson, David and Saul. The Septuagint Bible confirms this by using two different names for them. In Genesis they are called Pelishim in the Hebrew Massoretic text and Phylistim in the Septuagint Greek text. In the historical books of the Bible they are called Allophulai in the Septuagint. It would seem that the original Philistines were descendants of Mitzraim (of A ydna) who settled on Casluhim/ Atlantis but later were conquered by the Amu-Hyksos (of E1b ydna) under Creito and the Elonites (Helonites/ Atlanites) of Zebulon (ancestral of R1b U106 ydna) under Poseidon the father of Atlas (Elon). They established an alliance with a dual kingship over Atlantis. This political "marriage" between the two peoples is remembered in the legend of Cleito (Cleo) and Poseidon and the twins. Atlas (Elon) may have married Creito's daughter Cleo or Cleito or she may have been the daughter of the conquered King of the A ydna Philistines known as Evenor of the Casluhim. 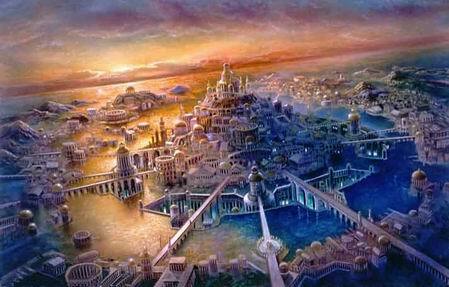 The Southern Kingdom of Atlantis was called Pallas or Pallantis and had five major cities. The five cities of the Philistines in Israel were possibly named after their mother cities on Atlantis. It is also more likely that the five Philistine cities on the coast of Israel were the Mother cities from which the Atlantean cities were founded. The Southern Atlantean High-King Eumelus reigned in the Atlantean city of Gath (Gad) on Atlantis. His four under-kings or Princes reigned in the cities of Ekron, Ashkelon (Askalon/ Ascalonia), Ashdod (Azotus) and Gaza. They may have been named for the five celestial colonies of their ancestors. The northern kingdom called Hellas or Hellantis also had 5 main cities that established colonies in Greece with the same names as well as in other places such as the Western coast of northern South America. The five cities of the north were Lacedaemonia (Laconia/ Ladonia), Megara, Mukanai (Mykene), Korinthos (Corinth) and Argos-Panoptis (Argos-Pelagos) which King Atlas (Helon) was the High-King. These five may also have had celestial counterparts on the moons and plantets of the Solar System. The capital city of all Atlantis was named Adina (Athena/ Diana/ Dinah) and Poseidonia (which meant Lord of Adina). Poseidon was a title for the High-King of northern Atlantis. In the capital resided the Atlantean High-Priestess (Queen Empress) of Diana (Adinah). Among the priestesses were two groups. The first group belonging to the northern Atlanteans were those that followed the teachings of Asenath (Osnat) the daughter of Dinah and were known as the Daughters of Dinah (Dona/ Danu) [H mt-dna] and the southern priestesses of Dione (Diana/ Adinah/ Artemis) (the original Goddess of the Hunt and wife of Nimrod), followed the teachings of Semiramis the granddaughter of this earlier Diana (Dione/ Artemis/ Dinah/ Edinah/Adinah) the first Moon Queen after the Flood. These two female priesthoods were syncretised over time. Rhode was the first Martian (Eridu) High-Queen and a descendant of Aphrodite (Ashtarte/ Azurad) the daughter of Artemis/ Dione. 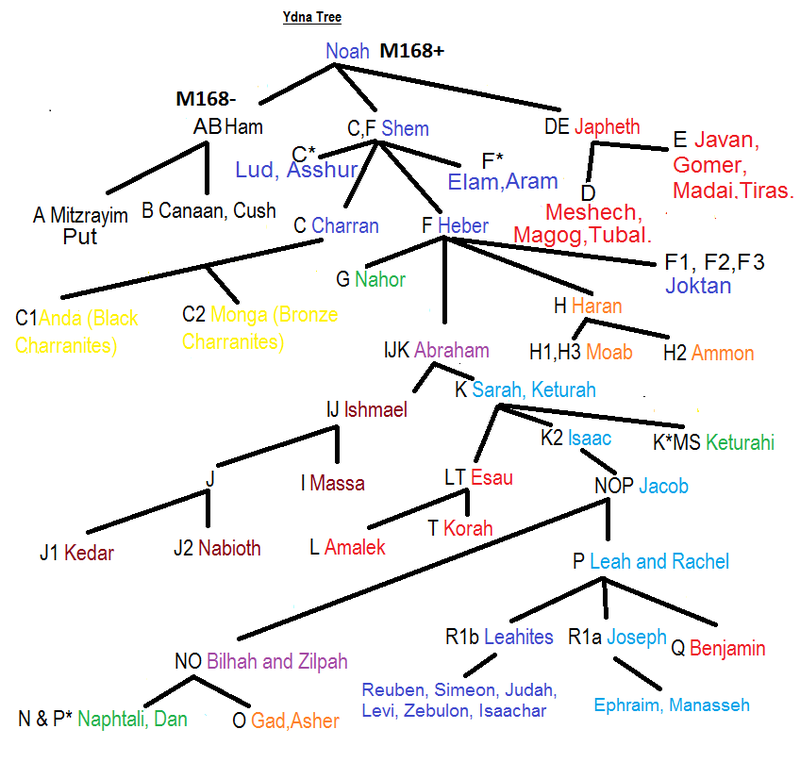 One of her descendants returned with Amalek to earth in the 14th century BC and founded the Creitan line of priestesses (most likely being ancestral of U6 mt-dna). They came into contact with the Daughters of Dinah among the Zebulonites (who were descended from Milkamum another daughter of Aphrodite), who remained on earth as the Rhodan or Eridu High Queens. Many of the Greek mythological genealogies may contain remnants of the records of the ruling families on Mars especially those of Crete (Creito) and Athens (Adina). Besides U6 mt-dna and other branches of U and K, M1 mt-dna was also a Martian female haplogroup. The Massaites of Ishmael known as the Royal Assyrians of I ydna (who were known for their white blonde hair) moved into Europe after 1350 BC and eventually mixed with and intermarried with the Zebulonites of Europe. They were a clan within the Atlantean Empire. Around the time of the fall of Atlantis in 968 BC many of them returned from the Atlantean Mars colony (Cydonia) and went on to conquer Assyria. The Assyrians, Sarmatians, Philistines and some of the Vikings all wore scale or reptile like armour. Poseidon and Atlas is partly a memory of Zebulon and his huge son Elon (the Oak Tree) and secondly they are a memory of these later namesake founders of the Atlantean Dual Monarchy from the Tribe of Zebulon. They were descendants of Prince Eliab of Zebulon who was a son of Prince Elon (Helon) who were from the time of the Exodus from Egypt. The Atlanteans who were at war with the Israelites were the E1b ydna Atlanteans from the southern kingdom of Creito. They had jurisdiction over the lands bordering the Mediterranean Sea. 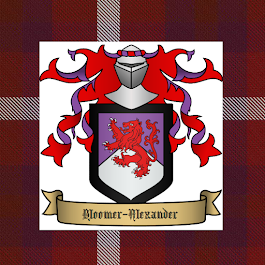 The northern kingdom of Atzlan had jurisdiction or the 'Sphere of Influence' in the North of Europe and America. It would seem that the alliance between Creito and Poseidon occurred around 1200- 1150 BC establishing the dual monarchy of Atlantis. It seems from some legendary accounts that the two factions eventually toward the end of Atlantean history fell out and the advanced civilisation of Atlantis was destroyed by their advanced weapons believed by many to be based on some kind of crystal technology. They may have been destroyed by the humans living on Mars (or some other celestial body) at this time who may have been allied secretly with some of the Creito group.The Bible in Judges 5:23 speaks of the inhabitants of Mars or Meroz in the time of the Prophetess Deborah. The Talmud (Tractate Mo'ed Katan 16A) states that these inhabitants live on another planet. There is a Jewish mystical teaching that while Israel and Syria (under Sisera of the Hazor Kingdom which included Syria and Babylon) were battling on earth their allies in the celestial realm were battling. The Martians of Meroz were part of the Canaanite-Syrian alliance. These celestial allies were descended from Massa (I y-dna) son of Ishmael and their descendants were the Royal Assyrians (Assir/Assur). The Amu-Hyksos of E y-dna had left their kingdom of Eridu in Central Australia in 1350 BC under their great Martian (Eridu) leader Amalek (a title of the War Leader of Eridu) at the time when their great space port was destroyed by advanced Martian weaponry. This caused the creation of the great shallow inland Sea (Rhodud) in Australia. This also led to the worldwide cataclysmic events of the Exodus. Amalek and his scientists escaped to Arabia and then Egypt and the coast of Canaan (their five cities had already been establish there by 1300 BC) and eventually establishing their new centre on Atlantis. They began to tamper with genetics and produced many of the Giants as had the scientists before the Flood of Noah. These Giants are called Gibborim in the Bible and are mentioned in Judges 5 as part of the alliance with Mars (Meroz). This probably began with a good motive to help with those deformed by radiation. It is possible that their advanced Martian (humans not aliens) enemies attacked and destroyed them when they started to develop space technology. They also destroyed by nuclear weapons the Indus Valley civilisation, which had been allied to Eridu in Australia, at this time or 50 years later. It was only after about 100 years or so of quiet on the Martian front that the Amu-Hyksos under Creito sought to re-establish a new advanced civilisation on Atlantis in alliance with the Zebulonites of the Helonite clan who had also returned to earth in 1350 BC. 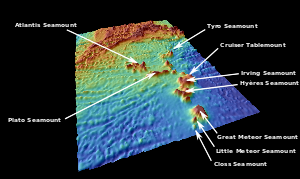 Was the Capital or Chief City Gath (Gad) of southern Atlantis (Pallantis) in this region south (near the Irving Seamount) of the Azores? Earlier in around 1960-59 BC the militarists of Eridu (Rhoda) in Australia and Mars had caused a nuclear winter by bombing the Spaceport Tower of Uruk (Mt Augustus in Western Australia) which caused the Ammuru (Amorites/ People of Reu) to flee Australia for the Middle East. At this time Sodom and Gomorrah was also destroyed. Another Nuclear War occurred around 1766-5 BC which caused the worldwide Nuclear winter for 7 years in the time of Joseph the Patriarch Ruler of Egypt. The Martian and Moon colonies had been re-established after the cataclysmic events of the Flood (on Earth and Mars), by Cainan and his successor Nimrod. Cainan revived the high technological pre-flood civilisation of Eridu. Noah and his wife belonged to the Moon Royal Dynasty that had colonies on the moons of Earth and Mars (which was hotter and closer to the Sun) as well on Venus (which was a moon then in another location and covered in seas) and possibly Mercury (which was the moon of earth before the Flood), Pluto (which was also a moon in another location), Titan a moon of Saturn, Europa (a moon of Jupiter) and others. The wife of Ham, Nahal, belonged to the Mars Black Eridu Royal family and Japheth's wife the red-bronze skinned Adan to its earth branch. This pre-flood Royal House of Eridu was known as the House of Isis. Shem's wife Tzadeklebab or Lebab (meaning heart and white) was the heiress of the Moon High-Queens. The original race of man on earth was of a bronze-red colour with golden auburn hair and the white and black races were created by genetic interference in order for them to suit the different planetary conditions which were in slightly different positions before the great man-made cataclysm that caused Noah's Flood. Cainan's wife Milka (or Milkam) was anointed the first reigning sacred Moon High -Queen of Eridu (Rhoda) on Earth after the Flood. The Noachian Flood events had occurred around 2400 BC +/- 50 years. This revival of old technology eventually led to the cataclysmic events of the destruction of the Tower of Babel in Tasmania and the dividing of the continents around 2250 BC. 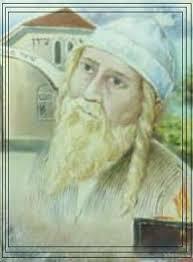 The Seder Olam Rabbah ( of the second century AD which contains the traditional Jewish dates) states that the Division of the earth occurred when Abraham was 48 years old but this is a mistake as it was Abraham's forefather Eber that was around 38-48 years of age at the time of the division. This mistake affects much of the other dates used in the Seder Olam Rabbah. The dating of events is also affected by the cutting of Cainan, son of Arpachshad, from the Patriarchal account in the Masoretic text. The Book of Jubilees and the Samaritan Penteteuch say the Arpachshad was 60 when he begat Cainan and the Septuagint says 130. The next possible attacks on earth by the Martians, after the fall of Atlantis in 968 BC, may have occurred in the time of Isaiah around 650-600 BC (by my Chronology which is around 770-721 BC in the Accepted Chronology of Academia) on Greenland and then again in 535-540 AD on Australia and finally in 1530 AD on Antarctica where an advanced culture existed on the new homeland of the Amazon (Rhodan) High-Queens. Their original capital city was at Uruk Shadim at Mt Augustus Western Australia but after its destruction in 1960-59 BC they moved to Antarctica and later established another Royal City in Australia at Kanka (Ganga) in the land of Sheba (Theba) which is now under the sea north west of the Fitzroy River outlet probably after 1350 BC. It is from this location that the famous Queen of Sheba (South) travelled from the ends of the earth to visit King Solomon. The Pyramids of Giza represent the three stars of Orion's belt just as the three Pyramids (believed to be volcanoes by modern scientists) called Tharsis Montes on Mars represent these Orion stars. Near them is the so-called Volcanic Mountain named Olympus Mons. This was the original Olympus home of the Gods in Greek mythology and the Valhalla of Norse mythology. The 12 chiefs Gods of the Greeks and Norse represent the rulers of the 12 colonies of Earth. According to the Greek Mythology the Greek Gods retained palaces in deep Gorges or Canyons, which are the huge gorges and canyons near the Tharsis Montes called the Noctis Labyrinthus which is the western end of the Valles Marineris which represents the milky way just as the Nile river represents the milky way on earth. Just as the Pyramids of Giza are West of the River Nile, so are the Tharsis Montes west of the Valles Marineris as are the three stars of Orion's belt west of the Milky Way. The region of Cydonia famous for the face on Mars may have been the Martian homeland of the Creitans who settled Atlantis. 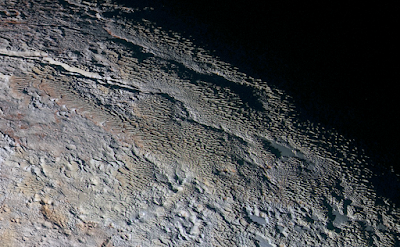 Cydonia is a poetic name for Crete. Or alternatively and more likely it may have been an Atlantean colony founded on Mars during the time of Atlantis. The so-called Nordic aliens spoken about in UFO circles may have been descendants of the Zebulonites of Atlantis (from whom U106 ydna descended) and the Massaites of Atlantis (I ydna). The so-called Grays or Reptilians (in fact mutated humans that have been genetically modified and their so-called gray and reptilian features are their spacesuits) may come from Pluto when it was a moon of Saturn or Neptune. The grays are most likely originally the miners who were genetically engineered to be smaller and suited to their harsh environments. It would seem that some of them broke away from the Eridu Empire and settled on Pluto and eventually orchestrated the events that led to the destruction at the time of the Tower of Babel. They became totally possessed by the evil spirits that ruled their serpent cult. It would seem the I ydna Massaites that remain on Mars after 968 BC joined the Reptilians against the R1b Ydna Zebulonites and the R1a Ephraimites. Joseph the Ruler of Egypt established a secret colony of Zebulonites of the Helonite clan (possibly in Honduras or on Atlantis or one of the other sunken lands of the North Atlantic itself) who not only sailed the huge ships of Tharshish on the seas but became celestial sailors flying celestial Spaceships to resettle Mars and other places (around 1750-1700 BC) and to establish a secret colony on an earth-like Planet near a sun ( BD +20 307) 300 light years from earth near the Pleiades. This sun (or the planet) may have been called Tharsis or Tasi and the planet (or the sun) Arsia or Ascra or Arcadia. This name of Tharsis or Tasi comes from the Hebrew word tas for flight and also for a peacock. The origin of the word Tharsis or Tharshish may be from Tas (תוָס) Sus (סוס) (flying horse or peacock horse). It was these celestial Zebulonites with the Ephraimite architects and engineers (R1a-SRY1532.2* or R1a1*) that established the Olympus Mons settlement and built the Pyramid complex as they were doing at Giza on earth. The area of Elysium on Mars may have been the earlier settlement established by the Eridu Empire of Nimrod around 2300 BC. Mars before the Flood was closer to the Sun and a much wetter and hotter planet that was probably two thirds Ocean. It was settled by humans from earth before the time of Noah. 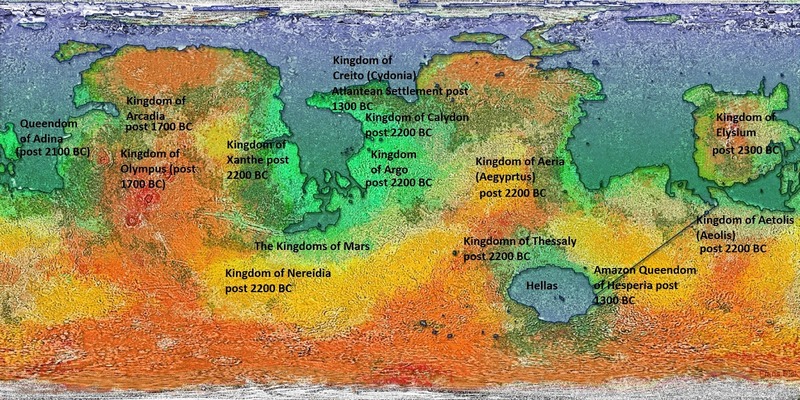 At the Deluge a large amount of Mars ocean water landed on earth, however after the Deluge Mars still had oceans (covering about 20% of the planet) when post Noachian man settled on Mars around 2300 BC on the Island Kingdom of Elysium. 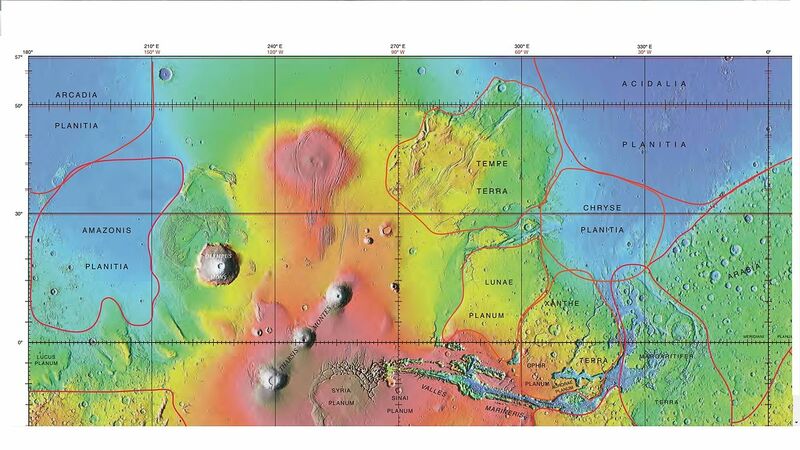 Mars at this time was warm and tropical until about 1350 BC when Venus knocked it into its present position. Asterius (Asterion/ Marduk/ Ares) was the first King of Elysium and a son of Rodanim (b.2300 BC) the son of Javan (Jason) a son of Japheth by his wife Eris the daughter of Nimrod a grandson of Ham son of Noah. Asterius' sons established a number of settlements or Kingdoms on Mars after 2200 BC such as Argo, Thessaly, Aeria (Aegyptus), Aetolia (Aeolis), Xanthe and Nereidia. Around 2100 BC the High-Queens of Rhoda (Amazons) from Uruk established the Queendom of Adina (Athena) on Mars. At the time of the nuclear war between Eridu and Uruk around 1960 BC the so-called Amazon or Moon Queens on Mars split into two groups with Thalassa leaving Mars with her husband Prince Pontus of Nereida (an experienced sailor on Mars) with a large contingent of Amazons and Neriedians to settle on the Ocean world of Venus while her sister Gaia remained on Mars as the High-Queen of Adina (Athena). Around 1700 BC the Zebulonites (with some Ephraimites and others) with the help of the Venusian Moon Queen settled the areas of Olympus Mons where they built the Pyramid complex of Tharsis pointing towards a distant colony near Pleiades. It would seem that this homeworld of Arcadia of the so-called Nordic Aliens may have been destroyed around 1530 AD in the war with the Gray Repilitians by the manipulated colliding of two earth sized planets surrounding their Sun. Did they or their antediluvian predecessors do a similar thing to earth in the past which sent our original moon to become Mercury? It would also seem that these space traveling Zebulonites had a secret advanced city oasis in Egypt called Zerzura which may have been built around 1750-1700 BC and was only finally abandoned after 1530 AD and was in ruins when seen again in 1835 AD- it is now hidden totally under the sands of the desert. The datings for the so-called Noachian, Hesperian and Amazonian periods of Mars history by the evolutionary geologists are obviously incorrect. These terms are of limited value as they rely on the evolutionary and utilitarian ideas of modern evolutionary scientific theories in geology. However I could roughly say that the Noachian period is from the Flood of Noah until 1350 BC. The Hesperian is from 1350 BC-1530 AD and the Amazonian is from 1530 AD to the present. Mars like Earth and the whole Solar System is no more than 10,000 years old. A group of the Philistines (Atlanteans) joined the Samaritans and became their Levite clan and much of the E1b ydna among Jews comes from this Samaritan branch. The E1b ydna found in the Balkans and Greece and Southern Italy comes more directly from the southern Atlanteans who settled along the European Mediterranean coast. Today 28% of Albanians, 22% of Bosnian Serbs; 23% of Bulgarians; 20% of Cypriots; 21% of Greeks; 19% of Southern Italians; 21 % of Sicilians; 47% of Kosovans; 22 % of Macedonians; 27% of Montenegrins; 13% of Moldavans; 14% of Portuguese; 15 % of Romanians; 18% of Serbians; 7% of Spain but 19% in the Extremadura,16% in Castile and Leon, 14 % in Asturias and 13% in Valencia; 8% in France but 21% in the Ile-de -France, 13% in the Auvergne, 11% in Provence and 10% in Alsace; and 11% in Turkey, are of southern Atlantean ydna E1b. Based on their Assyrian/ Sarmatian (I ydna), J2 (Ishmaelite Assyrians also found among Samaritans and Jews) and Atlantean/ Philistine (E ydna which is also found among Samaritans and Jews) the Balkans countries would seem to be one of the most volatile areas for militarism and aggressiveness in their genes. The Atlantean national temperament of E1b ydna would seem to be that of choleric melancholics as are the Assyrian/Sarmatians of I2 ydna whereas the Assyrian Ishmaelites of J2 are more choleric sanguines. Whereas the Zebulonites would be more melancholic cholerics among the Sanguine Tribes of Israel descended from Leah. Do these advanced humans from Mars still exist or have they destroyed themselves and the present human bases on Mars been put there by our own modern civilisation? Have the Martians infiltrated the world in the post 1530 period and taken control of the secret societies for their own ends? I do not for one minute believe in alien species but I do believe that man settled the other places in our solar system in the past and I do believe they had been tampering with human dna. Once again will God have to allow us to destroy ourselves as we have in the past? All can be averted through prayer, penance and fasting and the world turning back to the Creator and Godly values and ethics. Our Lady as the prophetess of these times is leading the prayer crusade. Cainan or Nimrod sent space colonists to Mars to settle on what became known as the Island Kingdom of Elysium in the Great Martian Sea (Oceanus). This colony was led by Nimrod's grandsons Asterius [born 2280 BC] and Aeolis (Aetolis). Asterius became the first Martian King of Elysium. Prince Aeolis' son Cretheus was to become the first King of the Martian Kingdom of Thessaly. Asterius' son Minyas I became the 2nd King of Elysium. Asterius' son Nereus became the first Martian King of Nereidia, and Asterius' son Aetolis became the first Martian King of Aetolia. Apollo (Apulu) Helios (Helon) [born 2205 BC] the first King of Xanthe on Mars was also a son of Asterius the 1st King of Elysium. Asterius' nephews Aegyptus and Danaus, by his brother King Belus of Eridu and Babel on Earth, were the first Kings of Aeria (Aegyptia) and Argo on Mars. When Hemera the Amazon High Queen of Mars died a war broke out between the sisters Gaia and Thalassa the daughters of Hemera and her husband Aether the King of Aetolia. Gaia was married to Asterion II (Asterius) the 10th King of Elysium. They defeated Thalassa who left Mars to settle on the watery world of Venus with her husband Prince Pontus of Nereidia. 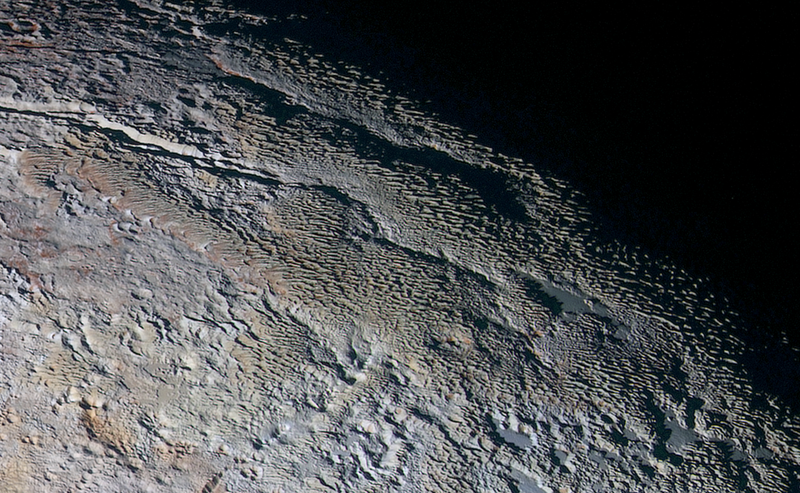 King Aether's son Uranus fled to a water laden moon called Titan or Titania and became its first King. Thalassa's granddaughter Adina (Athena) the 3rd High Queen of Venus killed Asterion II of Elysium around 1850 BC in a battle between Mars and Venus. Note 1: The dates recorded in the Book of Jubilees and the Seder Olam Rabbah have at times been changed but it would seem clear that the date of 1948 after creation of Adam for the birth of Abraham is clear. The start of the commonly used Jewish calendar is in 3761-60 BC which is not the time of Adam's creation. This occurred 5 Jubilees earlier on 1 Tishrei 4006 BC. Thus the first year of the first Jubilee cycle was 1 Tishrei 4006- 1Tishrei 4005. Enos the son of Seth was born in 235 AM and the Jewish calendar based on Jubilees of 49 years (with the Jubilee (Yovel) Year occurring simultaneously with the Year of Shemitah (Sabbath rest) began when he was 10 years old. The next Jubilee year (the 123rd since Creation and the 68th since they entered Israel after the Exodus) will occur on the Shemitah year 2021-2022 AD. St Joseph may have been born on the 81st Jubilee Year of the world in 37-36 BC. However there is another prophetic Jubilee cycle based on 50 years rather than 49 that will occurred in 2017 on its 120th Jubilee since it began in 3983 BC when Adam and Eve were 23 years old. 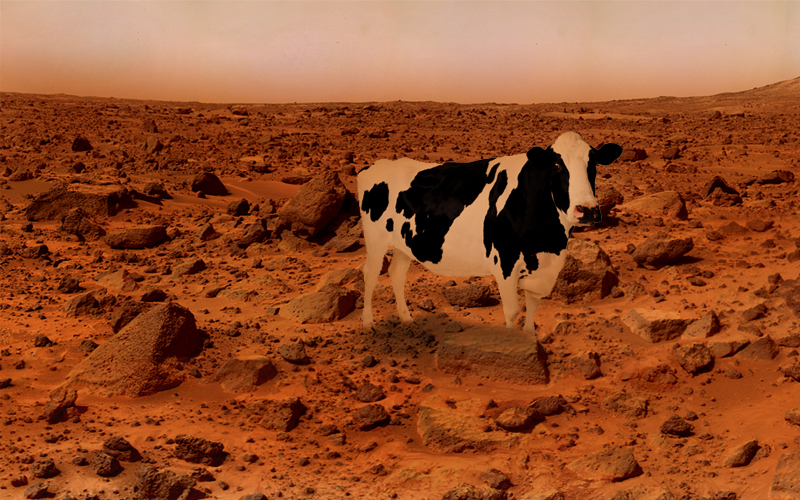 Note 2: It is interesting that due to the story that there is methane on Mars some humourous individuals have photo-shopped images of Friesan cows on Mars. These are the cows of the Frisian people of Holland who are descendants of the Zebulonites. 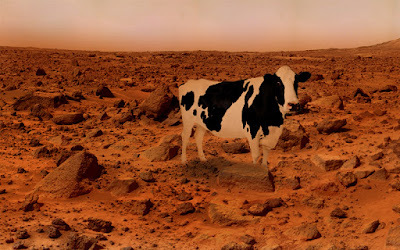 It is possible that the original Friesan cows (which were pure white and later bred with some black cows) were indeed taken to Mars and other places. Are there still some cows in the deep Canyons of Mars producing the Methane on Mars today? Are these cows the descendants of the ancient Mars cows or has our modern secret societies candestinely taken new livestock to Mars? Note 3: Many people steeped in the teachings of modern academia and science will find this highly speculative piece on Mars and its history difficult to accept. It is always the case with any new alternative viewpoints. I would like to reiterate that I am not an occultist or a Alien Ufologist nor have I been contacted or abducted by any aliens nor do I believe that there are other intelligent species on other planets except humans who originally came from Earth. In belief I adhere to a Judeao-Christian worldview and the orthodox teachings of the Catholic Church. I would caution people from believing many of the strange claims made by occultist UFOologist which are allowed on the Internet to discredit any sane and educated people from believing that certain forces have bases on Mars or that man once inhabited Mars in the past. The truth is mixed with alot of sci-fi fantasy and deception. Note 4: My dating of the cataclysmic events to hit the southern Hempisphere (Australia and Antarctica) around 1530 is not exact. It could have happen anywhere from 1529-1533 and in fact it was probably a series of events occurring over that time period. In 1530 Krakatoa is said to have exploded but this date is only tentative it could have occurred a couple of years either side of this date. I am coming to the conclusion that the key event may have occurred in 26th of January 1531 around the time of the Great Lisbon Earthquake of 1531 that also produced a Tsunami. The Lisbon earthquake occurred between 4-5 am which would be 12-1pm in Western Australia. Is it on this iconic date to all Australians (26 January is Australia Day) that the Southern Hemisphere was so drastically changed? Thank you thank you thank you for this information!! Quick question, why do you think in these times the Tribes of Israel branched out and lived in other places other than in Israel? I think God has a plan to include all the nations in Israel without destroying the uniqueness of the election of the Jewish or Israelite people. The return of the Lost Tribes to the Land of Israel will only be a representative portion of them- the bulk will remain in their countries of origin. God is sifting the nations and I don't think he has finished yet. Much of this reads like Sitchin except without the aliens, or more like Graham Hancock, where the advanced civilizations of the past were human, but still with technology like space travel and nuclear weapons… I consider you, Rex Gilroy, and Steven Strong, one of the few great Australian alternative historians that has done the great task of re-constructing the past, though from a different angle, and coming to many similar conclusions, that how history is presented in mainstream textbooks is a kind of fantasy. I would highly recommend your writing a book so these ideas could be more well known. I would certainly buy a copy. I spend a lot of time myself researching the ancient history as related to the Indian ocean, all the pre-European journeys to Australia and the ancient connections around the world so all this is very helpful leads for me. It seems you support the Out of Australia theory, that Rex Gilroy and Steven Strong also support. I’ve been reading Steven Strong’s book “Shunned” lately in which he makes a strong case for this, there is enough evidence in DNA and Fossils just from mainstream scientists actually, to support the case, or at the very least to show the Out of Africa theory isn’t the whole story, that Australian Aboriginals were the first to travel to Asia and the Americas and have a distinct DNA legacy, which shows no sign of African negros coming here. A lot in your blog I can’t follow on the DNA but I can follow the general narrative of what you’re saying. What you say on humans being on Mars and their possible survival there, genetic tampering in ancient times, does provide one explanation for many of the UFO and Alien encounters around the world, such as the Grey Alien and the Reptilians. I’ve read a bit on the latter days of Atlantis, dark magicians and DNA tampering, the Nephilim and Anunnaki, with a lot of alien conclusions, seems a good explanation but often these things may have a more terrestrial origin. Something like the Grey could easily be the end result of the kind of gruesome NAZI experiments could produce if those experiments went on into the age of genetics, that’s just in our time, what to say of pre flood civilizations and the Nephilim or half human, half animal creatures of mythology. Credo Mutwa the Zulu shaman, among others has pointed out that since the Greys and Reptilians can mate with human women they must be terrestrial in origin, not aliens. It may very well be that these beings are human in origin, messed up long ago from radiation or genetic experiments. A lot of people don't notice that Yahweh when ordering the invasion of Canaan by the Hebrews specifically orders the destruction of the Nephilim descendants there. Few people would ask why, that this was a genetic problem to be eradicated... Your mention of 1530 and infiltration of secret societies stands out for me too, I was just reading Michael Tsarion and David on how much of world history from this time period onwards was driven by occult motives, a key figure of which was John Dee who it's said opened up a portal of sorts to extra-terrestrial beings at this time which seriously redirected the machines of civilization up till our times. Different theories and interpretations abound around these events but the synchronicity and broadstrokes show it's huge relevance. Dear Daniel, Thanks for your feedback and fascinating comments. To understand my interpretation of human dna and my datings of it is based on the belief that all human dna does not go back any further than 2,400 years ago to Noah and his family. 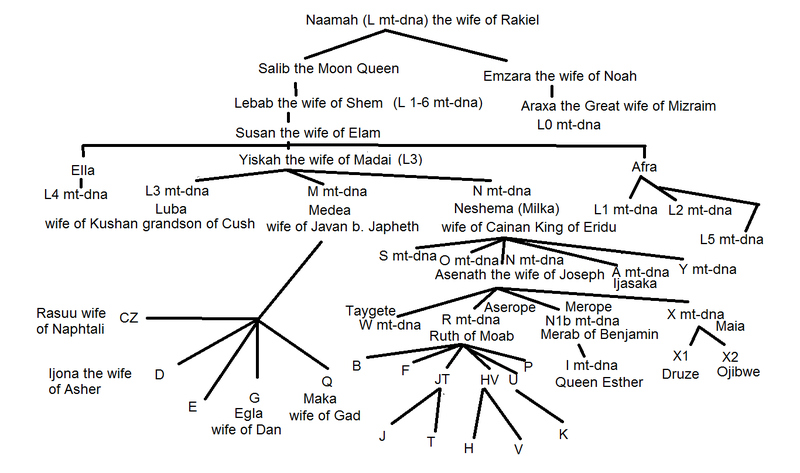 What scientists call modern humans are those who have mt-dna from Noah and Shem's wives. Neanderthal mt-dna is from Japheth's wife and the Denisovan is from Ham's wife. Today it would seem only the mt-dna of the daughters of Shem have survived. This blog entry gives me so much to relate to... Granham Hancock in "The Mars Mystery" mentions that the upheavals that ended the ice age, great flood, were likely of the same celestial cause that devastated mars, which was habitable to within human history. 12,000 years ago if not latter. he mentions the profound connections the egyptians placed on mars. Ive been reading David Icke saying pretty much the same, that Martian civilization and Atlantians were in the same period, 12,000 years back, but planetary disasters devastated earth and mars at this time. Both authors source many other researchers who come to the same conclusions. David Icke links the Martians to the so called Nordic aliens and the origin of white people on the earth. There is clearly alot of truth in all this... serious researchers come to the same conclusions, same themes, just differ in details. I am very open to the idea that mars and the moon had habitable conditions even into about 6,000 years ago and that humans have had space travel technology in ancient times. There are stories in ancient China of travel to the moon and buidlings there, and of course the book of Enoch, both give details of space travel which apparently werent known up til the 20th century, like what thee earth looks like from orbit, the spin of spacecraft in space without gravity, etc. There are too many examples like this from all over the world. It will be increasingly hard to hide all this as nations progress and travel to the moon and mars. There's plenty of anomaly photos from landers and probe photos of buildings on the moon and mars aswell. It amazes me most people dont know about all this. Since you link the denisovans to martians? (im not sure how) im interested in what you make of the hobbits of flores, the red cave dear people of china, the conehead mummies of peru and found all over the world whose skulls cant be the result of cranial deformation as they lack natural skull sutchers, the starchild skull aswell, many of which dont fit into a linear evolutionary paradigm or the a straight reading of the genesis narrative of human origins. An african man in America had dna that showed he and his family breed with another archaic human branch we know nothing about aswell. There are many more examples to be found, giant fossils, 6 fingered giants, giants with two rows of teeth, horned human skulls, etc. I wanted to mention also - all these stories of the 'gods' in the ancient world or nephilim (or modern aliens) coming down from the sky, breeding with women,... it should be obvious, different species cant interbreed, these -'gods' must be genetically related to humans, most of them look human. Though garbled through myth, its obvious that the gods and humans have a common ancestory and genetic compatibility or they couldnt interbreed naturally. ergo the 'gods' of the ancients were probably just a type of human, but with advanced technology. I find it impossible to reconcile all this with the 6,000 year timeframe of the Bible. Either way human history is not what we are taught in mainstream text or in any church for that matter. I note you mention connection to indus valley and Australia, recent dna tests showed indians did come here 4,000 years ago so at time of indus civilizatiom. Really the indus, sumer and egypt were one civilization. How do you find the connections from mountains in Australia to being ruined towers of middle east cities though? I know Prabhupada founder of Hare Krishna and and some Hindu nationalists claim ancient Australia was used for Brahmastra nuclear weapons though im yet to confirm their source. Thanks for your comments which I found very interesting. The Catholic Church does not claim infallibility in regards to history or science or any other area except in that of faith and morals. Catholics are free (within certain limits when these impinge on matters of faith and morals)to hold diverse views on historical and scientific matters. A big influence on my ideas is the writings of Velikovsky. His insight that the end of the European Ice Age and the end of the Middle Kingdom of Egypt (and thus the realignment of the Dynasties of Egypt) occurred at the time of the Exodus is foundational to my dating methodology. Where I differ with Velikovsky in regards to dating is that unlike him I do not accept the date of 586 BC for the end of the kingdom of Judah but I accept a date closer to the traditional Jewish date for the destruction of the First Temple. My opinions on these matters have developed over the years as I began to understand the bigger more universal picture. You present some very interesting ideas ! I am particularly interested in your ideas connected to descendants of L47...since I am myself L47. SouthWest France that you present. Do you have any ideas/information on that topic beyond that posted on your blog site? Hey, ever heard of this archaeologist named "Jonathan Gray". Some of his books, preferably "Dead Men's Secrets", talk a lot about advanced technology and lost civilizations of ancient times. Some of the later chapters of his book mention not only atomic weapons in the distant past but also ancient colonization of the moon and Mars. 2 of the tribes stayed in what is now known as Israel today. The other ten tribes migrated through Europe and some are likely still there, but the bulk of those tribes are referred to in the Bible as Ephraim and Manasseh, AKA: England and the United States. Those two countries have been blessed by God with many rewards, but punishment is coming for turning away from God as well. In the past I once accepted that Britain and the US were Manasseh but now through studying dna and archeology and history I believe that Poland and Russia and the Slavic nations are Ephraim and that the British Isles are mainly of the Davidic House of Nathan.